Hello! My name is Calais and I am eleven years old. This is my page. I hope it helps other Christian girls like me. 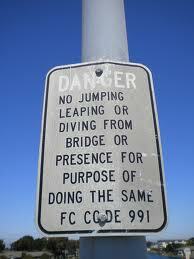 Everyone knows the phrase if your friend jumps off a cliff would you? Now let me ask you something, if your friends jump off the cliff of temptation would you? Let me ask you another question. Instead of jumping off the cliff of temptation, would you walk through the dessert of trial to get to the land of Promise and Triumph? The dessert of trial has wild beasts, poisonous snakes, scorpions, mountains, rocks, canyons, and the lion of sin who grabs you and tries to throw you off the cliff of temptation (to your destruction), and he is very sneaky so you don’t know where he is! Stay steadfast at the face of temptation and always ask God for help. I got a small book that has some really good quotes in it. I’m going to tell you one of my favorite ones. When you get a birthday card from Grandma and Grandpa or it’s pay day. How much money do you get? Is it really yours? No. God gave you that money to take care of. Yes you can spend it. If you get paid $350 a week you might say, “I love pay day so much.” Or you might say, “How much do I give to the church (God)?” If you get $350 you could give $50 or$35 of your money to the church and spent the rest of it. God would be happy with that amount. I liked what you wrote so much that I posted it the one about “You did not fail.” on my blog. I’d like to know the name and author of your “little book”.